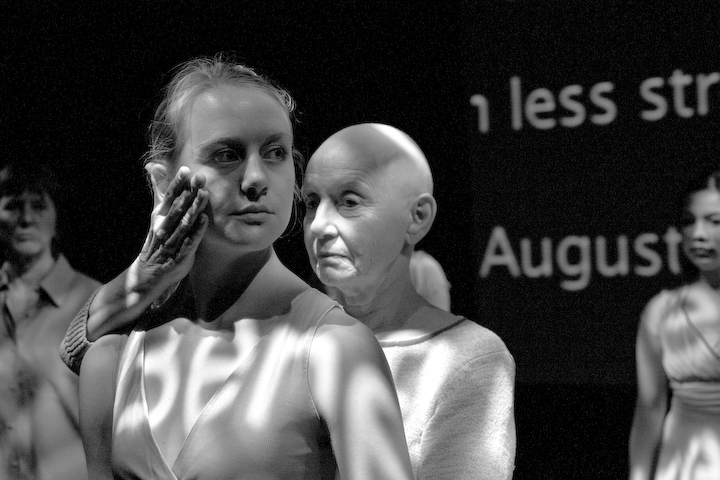 and we with full acceptance can continue to include dancing in our living"
A collaboration between Hope Mohr and video artist Douglas Rosenberg featuring a cast of incredible women--both dancers and survivors of breast cancer. The interdisciplinary, community-based process behind Under the skin extended far beyond studio walls from dialogues with the medical community to poetry collected from cancer patients and creative movement classes at the Palo Alto Community Breast Health Project. Medical imagery tends to fragment us from our own bodily experience; there is a gulf between what we see in the X-ray and the story we carry inside. In this way, medical imagery echoes the disconnect (for women in particular) between cultural images of the body and more complex realities beneath our skins. Often in the medical context, we must remain silent and still as we are exposed. To give voice to the human side of healing amidst technology, I facilitated a process in which these women’s bodies could speak for themselves from the inside out. Under the skin bore witness to the women's dancing bodies in all their ambiguity and dimension—bodies that are, like any illness, impossible to reduce to an image. The work bore witness to the cast's confrontations with mortality and their affirmation of life. 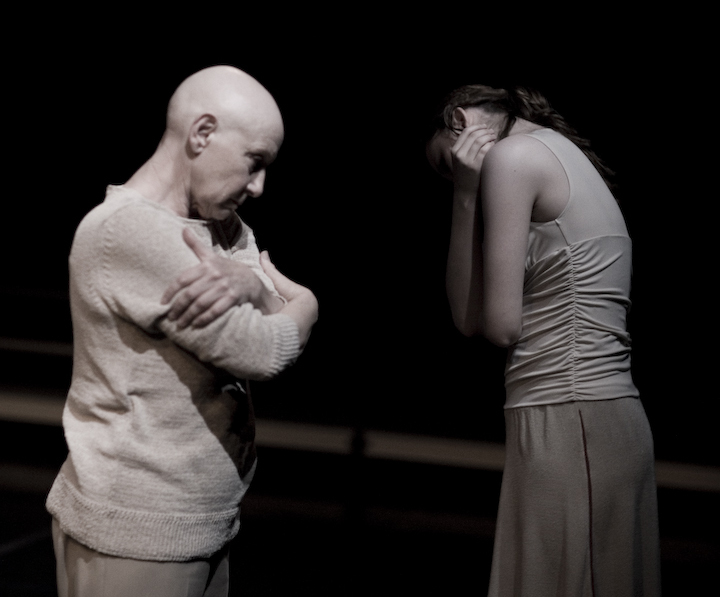 Under the skin was a 2007 Stanford Dance Division commission made possible through the generous support of the Michelle Clayman Institute for Gender Research, Patrick Suppes Center for the Interdisciplinary Study of Science and Technology, and Marcia and John Goldman. Special thanks to Diane Frank, Janice Ross, Tony Kramer, Audrey Shafer, Jay Kadis at the Stanford Center for Computer Music, and the Palo Alto Community Breast Health Project. “The dance has been forged out of the fire of pain, fear and loss, and while entrancing to watch, it is not primarily entertainment….The collaboration between generations gives Under the Skin its special power, as young dancers seem to gather the raw experience from the older women, creating a moving expression of shared pain, shared hope and the continuum of life."